Looking For The Best Dog Foods For Maltese Tear Stains? The Maltese is one of the most elegant, and one of the most lovable, of all dog breeds. 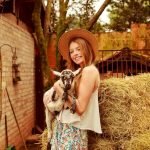 These popular pets are true lap dogs, happy to stay with you for hours on end. Unfortunately, the snow white Maltese is also prone to unsightly tear stains. Nothing mars the beauty of a wonderful Maltese like tear stains, and owners spend countless grooming hours getting rid of those stains. Sometimes the food you feed your dog can have an impact on their appearance, and that certainly is true of Maltese dogs and tear stains. Feeding a high-quality food that improves the quality of the coat can make tear stains more likely, so you can spend more time enjoying your pet and less time grooming. Each of the foods on our list meets those criteria, so you can choose the brand that your Maltese likes best. Here are some of the best dog foods for Maltese tear stains. 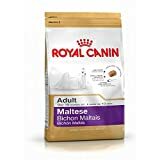 Royal Canin is famous for its breed-specific formulations, and the company makes an excellent food designed specifically for your Maltese. Not only does this food provide complete nutrition for the Maltese, but it also enhances the quality of the hair and coat, making those troublesome tear stains less likely to mar your pet’s appearance. 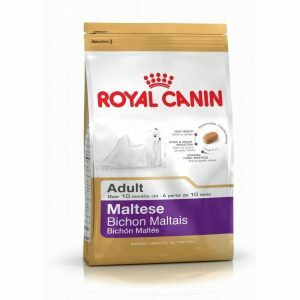 There is a lot to like about the Royal Canin Maltese 24 Canine Adult Dry Dog Food 1.5KG, from its quality formulation to the fact that it is made with the specific nutritional needs of your dog in mind. If you are looking for a great food that can reduce those unsightly tear stains, this is definitely one to try. 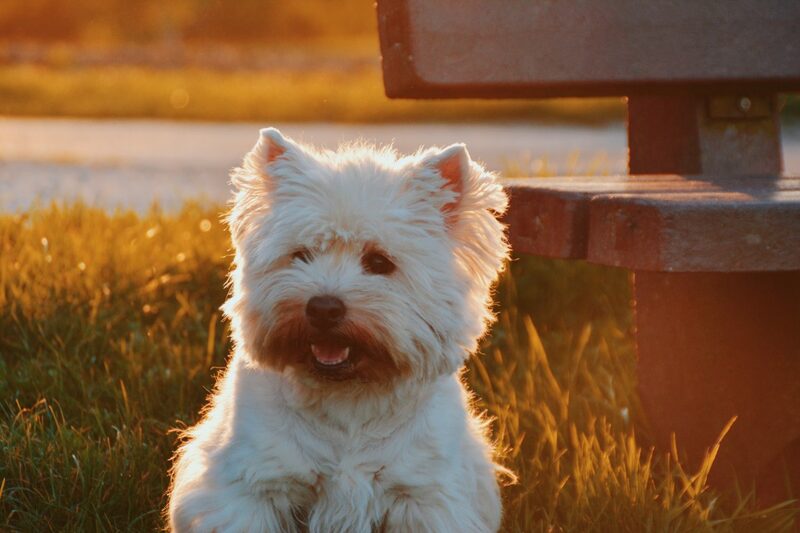 Wellness is another brand with a strong commitment to breed-specific formulations, and the Wellness Complete Health Natural Dry Small Breed Dog Food is designed for the unique needs of small breed dogs, including the beautiful Maltese. Wellness Complete Health Natural Dry Small Breed Dog Food is also one of the best-reviewed foods on our list, with an average Amazon.com rating of 4.5 out of 5 stars. 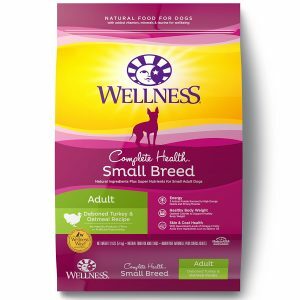 With its long list of impressive nutritional benefits and its quality formulation, the Wellness Complete Health Natural Dry Small Breed Dog Food definitely belongs on your canine shopping list. The formulation is designed to promote good overall health, including a healthy coat, so you can kiss those tear stains goodbye. 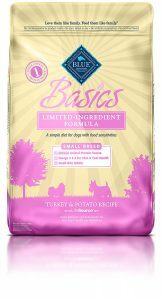 Many Maltese owners prefer to feed a limited ingredient diet, and the BLUE Basics Limited-Ingredient Formula Adult Dry Dog Food is one of the best of that group. With quality ingredients and a formulation designed to promote healthy skin and a healthy coat, the BLUE Basics Limited-Ingredient Formula Adult Dry Dog Food can be a big help for owners fighting back against tear stains. Feeding your Maltese a limited ingredient formulation can be a great way to enhance the hair and coat, and the BLUE Basics Limited-Ingredient Formula Adult Dry Dog Food is one of the best of the bunch. Even if your Maltese is a picky eater, he is sure to love this food. Hill’s Science Diet is trusted by vets, and by millions of pet owners around the world. 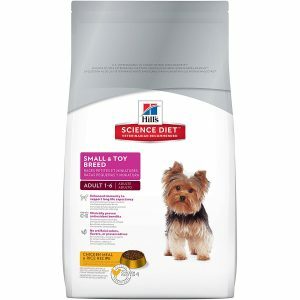 If you are trying to fight the tear stains on your Maltese’s coat, the Hill’s Science Diet Small & Toy Breed Dry Dog Food could be a great place to start. The Hill’s Science Diet Small & Toy Breed Dry Dog Food is specially formulated for the unique nutritional needs of small dogs, including the Maltese. The formulation also sports a 4.7 out of 5-star rating on Amazon.com, further proof of its quality. If you are looking for a quality formulation backed up by vets, the Hill’s Science Diet Small & Toy Breed Dry Dog Food could be the choice for you and your Maltese. 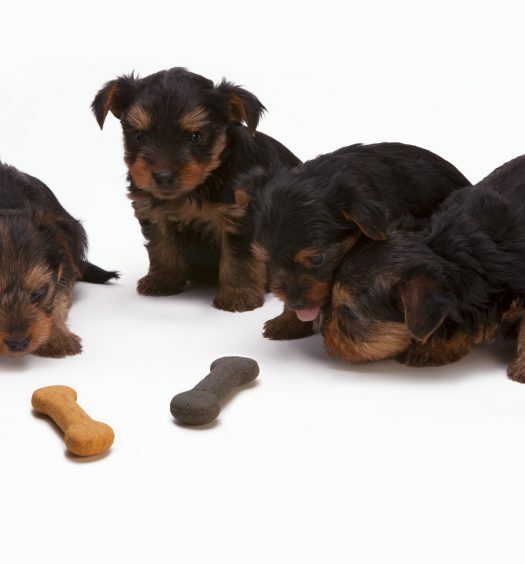 Specially formulated with the needs of your small dog in mind, this food has everything your canine companion needs. 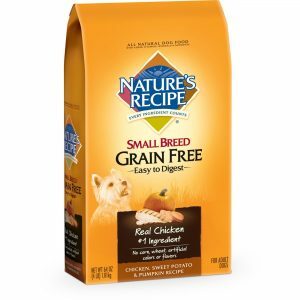 Last but not least is the Nature’s Recipe Grain Free Dry Dog Food, another great food for your Maltese and another formulation that can fight tear stains and give your pet a healthier and cleaner coat. With an average Amazon.com rating of 4.5 out of 5 stars, it is also clear that Nature’s Recipe Grain Free Dry Dog Food is a real favorite among other Maltese owners. If your Maltese has a problem with tear staining, Nature’s Recipe Grain Free Dry Dog Food could be the answer to your problems. This great food has a lot to offer, and it is easy to see why it landed on our list. The snow white coat of the Maltese is one of the its best features, and you do not want that coat to be marred by tear stains. 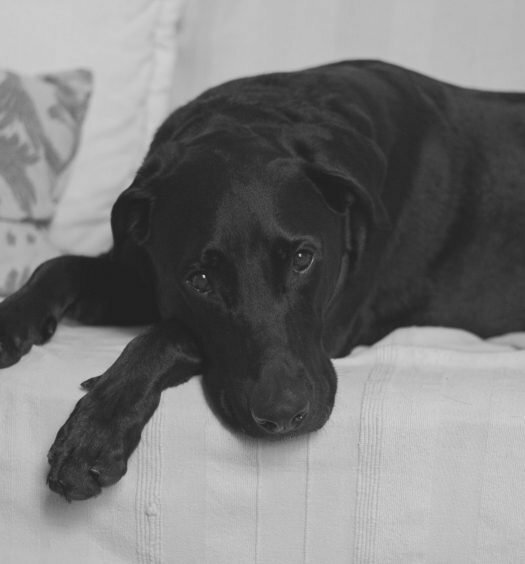 Each of the foods on our list has a lot to offer, including formulations for a healthier coat, so you can spend more quality time with your pet and worry less about the quality of its coat.